With the aim of making it easier for embedded devices to cooperate in an IoT environment, Mentor, a Siemens business, has launched a cloud connectivity and management framework. The Mentor Embedded IoT Framework (MEIF) is designed to work with existing cloud-operator software development kits (SDKs), such as those provide by Amazon Web Services, Eclipse IoT, Microsoft Azure and Siemens MindSphere. It is also designed to be able run on any underlying device operating system and microprocessor combination. “With our new Mentor Embedded IoT Framework, we continue to extend our industrial market offerings by addressing a host of common challenges associated with security, portability, code re-use and multi-cloud requirements,” said Scot Morrison, general manager of Mentor’s platforms business unit within the company’s embedded-systems division. MEIF supports a number of services help connect IoT devices to a cloud backend. They include: device authentication and provisioning; configuration and control; monitoring and diagnostics; and software updates and maintenance. To the core cloud-connection services the framework adds a number of device-monitoring services intended to improve uptime for Industrie 4.0 applications. 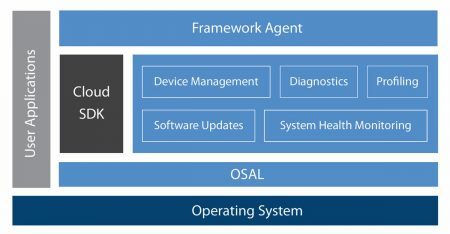 The framework’s services provide OS health monitoring and diagnostics, reporting of available memory and CPU utilization reporting, and system profiling. MEIF is designed to be extensible, allowing manufacturers to integrate and enable their own diagnostics. 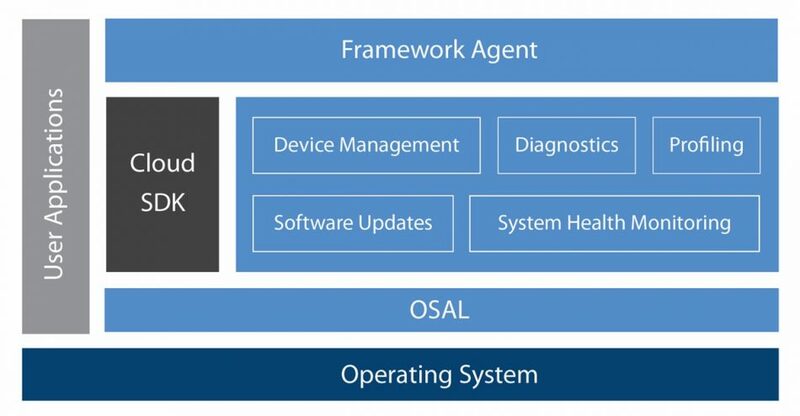 MEIF incorporates a runtime platform that, combination with a hardware root-of-trust, helps enforce secure-boot processes for device. MEIF extends secure management to the cloud for device onboarding, secure device software updates and device management. The framework includes a GUI-based utility to sign, encrypt, and package artifacts for network delivery to devices. Once in place, they are checked and authenticated before being applied.